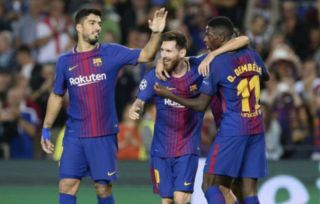 Manchester United are said to be ready to offer Luis Suarez a huge pay rise in order to help the Barcelona forward seal a transfer to Old Trafford. 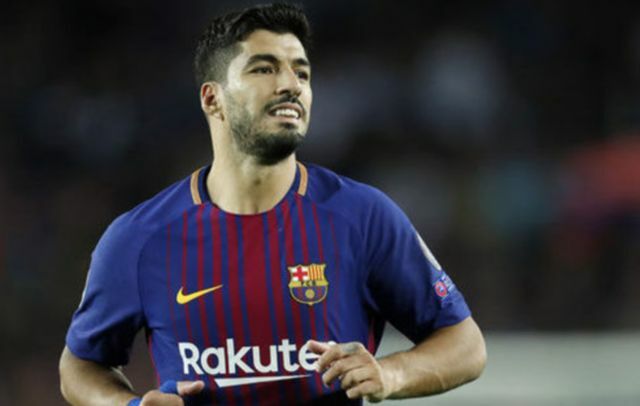 Suarez has been at Barca for a few years now, and given the Uruguayan is now 32 years old, it seems like the forward’s time at the Nou Camp could be coming to an end. If Suarez does end up leaving Barcelona, it seems like United are one club where the player could end up sealing a move to if Don Balon‘s report is anything to go off. According to the news outlet’s report, United are interested in becoming Suarez’s next club, with it also being stated that the Red Devils are ready to offer him a deal worth €3M more a year than the one he’s on at Barca, a wage rise that equals out to just below €60,000-a-week. This news come as a surprise, as Suarez is already one of the highest earners at Barcelona, and it seems unlikely that United would want to make a 32-year-old one of the Premier League highest paid players. Suarez moving to United would be a very shocking transfer from our of point of view. The Uruguayan international has declined a fair amount in recent years, and it seems very unlikely the player would be able to get into United’s starting XI over stars like Marcus Rashford, Anthony Martial and Romelu Lukaku. Also, we don’t think Suarez would be very welcome at United given the fact that the forward was involved in a very controversial race row with Patrice Evra during his time at Liverpool, an incident that Red Devils fans surely haven’t forgotten about.